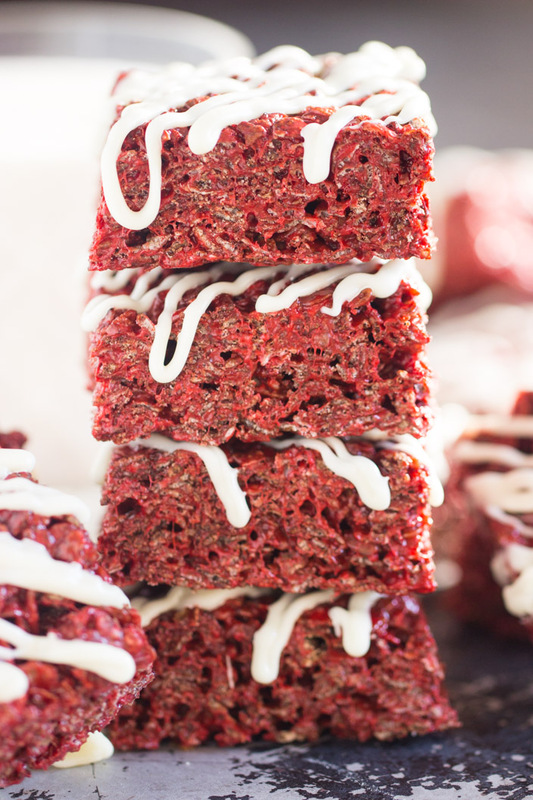 Made with extra butter and marshmallows, Cocoa Pebbles, and red velvet cake mix, these Red Velvet Rice Krispie Treats are as effortless as classic Rice Krispie Treats, but extraordinarily more memorable. 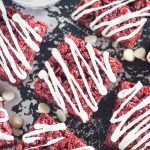 Your Valentine deserves the best, and these gourmet Red Velvet Rice Krispie Treats are the best! Hello! So sorry for the long-ish hiatus. I was at a work conference all of last week, and the day I returned, I woke up with the flu. That’s what happens when you get 2,000 people together for 4 days in one building. Half of my team is sick. Guys, the flu is no joke. It is a NASTY bug. I feel absolutely wretched. Anyone else come down with it? I hope not, and I hope you make it through flu season without it. It’s dreadful!!! I’ve gotten nothing done for 4 days. When you feel that crappy, you can’t focus or concentrate on anything. I’ve been useless. Today I finally feel a bit better and can mutter some words. Just in time too because I’m waaaaay behind on posting recipes for Valentine’s Day. 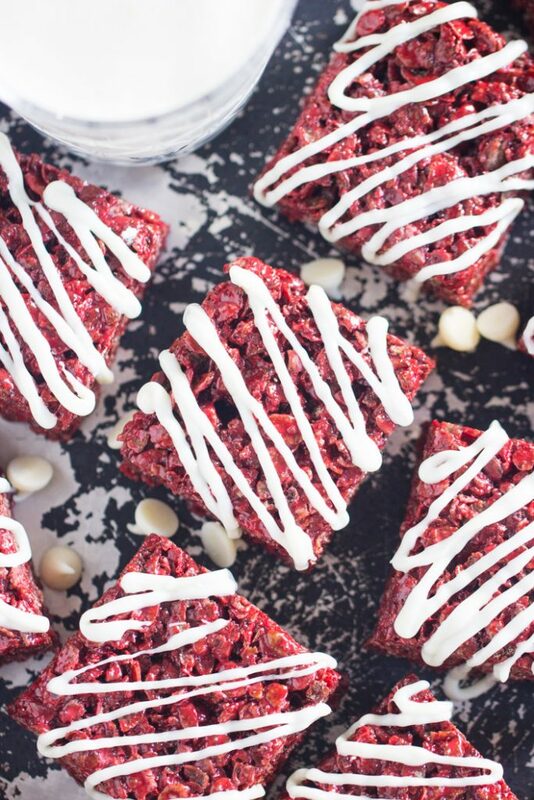 Let’s start with these Red Velvet Rice Krispie Treats. This has been the year of Rice Krispie Treats for me. I’ve always been a fan, but I really lost my mind over them in the last year, and I’ve created a whole mess of different varieties.. these Nutella Rice Krispie Treats, Cookie Butter Rice Krispie Treats, White Chocolate Cranberry Pecan Rice Krispie Treats, Pumpkin Spice Latte Rice Krispie Treats, and Gingerbread Rice Krispie Treats. No shortage of RKTs options for you. Let’s shoot for a Rice Krispie Treats recipe for every holiday and season, shall we? 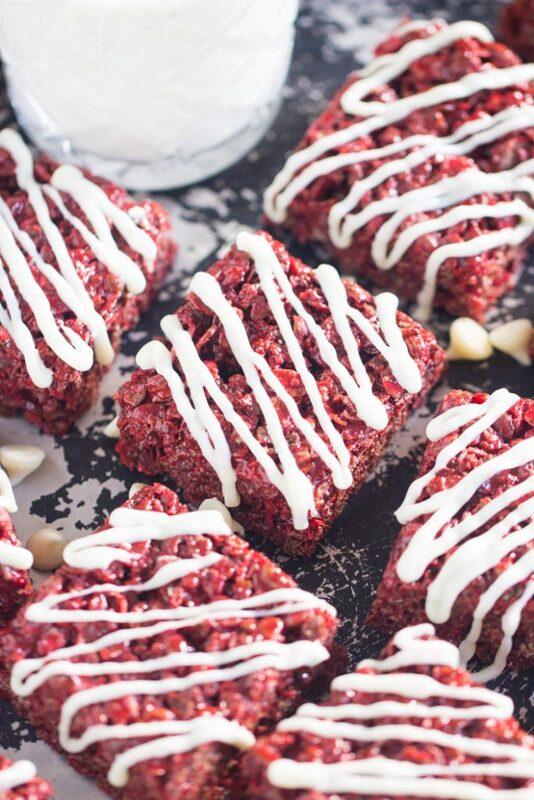 Valentine’s Day Rice Krispie Treats in the form of these Red Velvet Rice Krispie Treats. 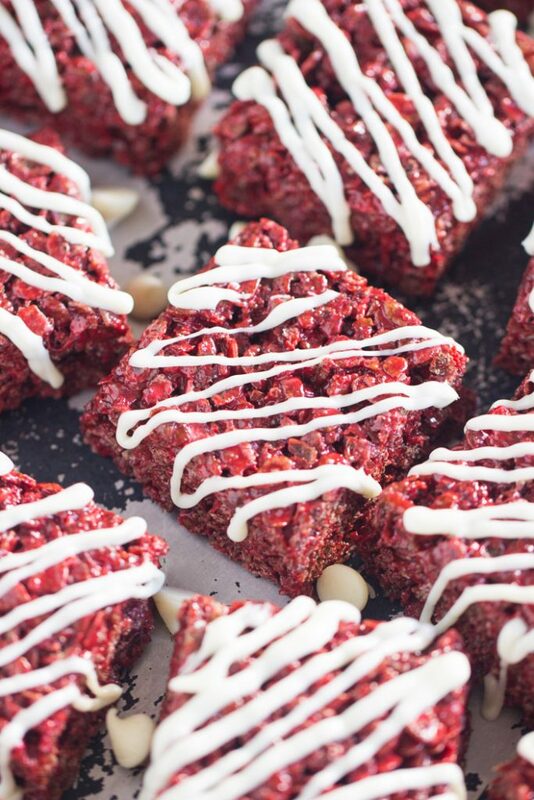 These Red Velvet Rice Krispie Treats are made with Cocoa Pebbles, so they have the chocolate component built right in. They also get a little extra chocolate help with the addition of cocoa powder. 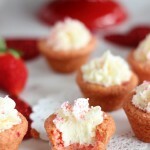 Beyond that, these get flavor help from red velvet cake mix. Yes, red velvet cake mix, stirred right into the Rice Krispie Treats ‘batter’. 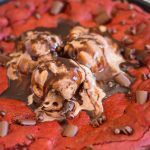 A drizzle of melted white chocolate on top does wonders for cutting through the milk chocolate, and giving a little boost to the red velvet theme. I forgot to mention that my Rice Krispies Treats are made with extra butter and marshmallows, so they’re insanely sweet and gooey. 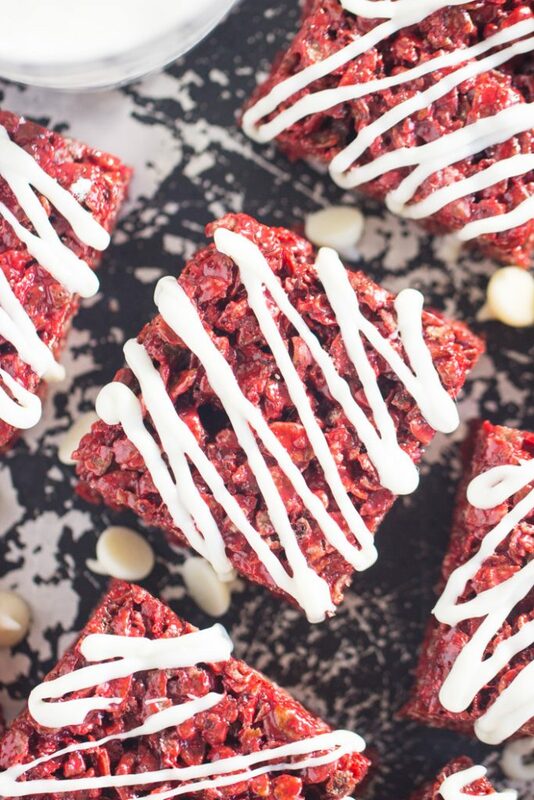 They’re the best canvas to start with, and they make these Red Velvet Rice Krispie Treats that much more special. In a large pot over medium-low heat, melt the butter. Add vanilla and marshmallows, and continue cooking and stirring until marshmallows are mostly melted and smooth. Stir in cake mix, cocoa powder, and food color. Press mixture evenly into the bottom of a lightly buttered 13x9-inch pan. Allow to set, and cut into bars. Drizzle bars with melted white chocolate for garnish, and allow to set. Oh my gosh, I’m dying over these!! They look and sound amazing! Cake mix in the treats?!? So genius! Glad you’re on the mend! Week had the flu a couple of years ago when Keith was traveling for work and I was on my own with the 3 babies. Miserable! I ended up in the ER by the second week because I was having trouble breathing.? Anyway, it’s definitely no joke and I’m so happy that you’re feeling better! 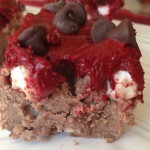 Red velvet, white chocolate, marshmallows–YUM! These looks so gourmet and decadent. I can’t believe you are posting with the flu, but I am glad you are back! Missed your delicious recipes. Take care and be well. Hi!! Aren’t these lovely? I want to make them again this weekend. They were tooooo good. Yeeeeesss! 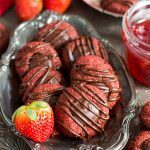 These look SO good- love the combination of red velvet and a rice krispie! Perfect for Valentine’s Day. 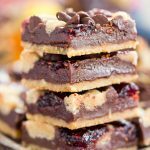 This recipe sounds great for entertaining a party! I’m definitely going to try it this weekend. Thanks!